Whether prepackaged with a WordPress theme or bought separately, Revolution Slider is a powerful tool for your website. With it’s huge range of features and ease of use, this plugin has gained huge popularity in the WordPress community. I’ve added it to the past three sites I’ve developed and my clients seem to love it. The tutorial above will give you some basics into use the plugin. Click here to get Revolution Slider today! Having a stash of graphic resources is a great way to start any project. Whether you are trying to come up with new ideas or updating existing websites, print layouts, or presentations, a bundle of graphic assets can help you make the most of your efforts. And now Inky Deals is offering their Mega Graphics Bundle for only $49. The Mega Graphics Bundle comes fully packed with premium resources that will provide your design with an unique feel. Not to mention that you will now be able to tackle different types of projects, because the illustrations and the kits included are web oriented. Valued at over $2,700, all these elements are brand new and carefully crafted. This collection brings you a wide variety of assets to play around with and mix and match them any way you like! Use the coupon code MEGA25 for a 25% discount on the Mega Graphics Bundle. 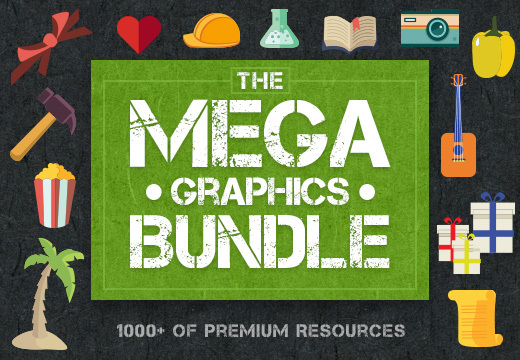 Click here to find out more about the Mega Graphics Bundle at Inky Deals! I often get asked how to add users to a WordPress site so I thought I would post this video. As you can see, it is pretty easy to do. The key is to determine what role you’d like for each new user to your WordPress site. WordPress has six pre-defined roles: Super Admin, Administrator, Editor, Author, Contributor and Subscriber. To understand the capabilities of each role, please visit the WordPress Support Site at codex.wordpress.org. Here you’ll find tips, ideas, and design information that supplement the services we offer including tutorials that will help you create business, communication, and marketing material.